There are so many people just drifting along in the day-to-day. So many that appear to lack a goal or motivation. Appear is the key word there. It is not so much that these people aren’t motivate, it is more of a question of finding the motivation. Finding this motivation can be a serious hurdle. Thankfully, there is help out there, Talentoday being one such source for help and guidance. 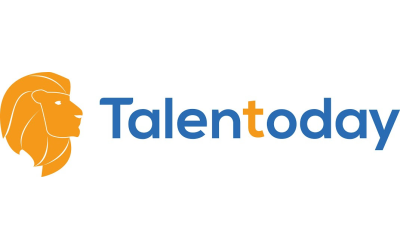 Talentoday is a career guidance platform. Clearly, they are doing something right; the company added a whopping 2,750,000 new members since February of this year. We had a chance to ask Paige Beaton, a member of the Talentoday team about the platform. Our mission is to empower people to be fulfilled in their careers. Talentoday provides powerful, scientific-based and effective career guidance solutions to help identify a person’s unique assets, strengths and motivation, leading to a more fulfilling and successful career. Our online, community-based platform automates and simplifies the career guidance process with a free assessment and coaching guide for students and professionals, and a comprehensive guidance solution for career counselors and HR professionals. What problem is Talentoday taking on? “What am I going to do with my life?” Questioning the meaning of life is common within individuals; it is part of life. We all seek to have a professional career where we will be effective, fulfilled, and happy. But it is never easy, and it is much better to be accompanied when making good career choices. Before Talentoday, career guidance support was too expensive, outdated or simply inaccessible. Meeting with a career counselor costs anywhere between 60 to 500 dollars per hour. These fees are not affordable for many of us. On top of that, there is only 1 career counselor per 10,000 people at the national level, and barely 1 for 1,000 in universities or larger schools. Counselors are overwhelmed, sometimes tired, and cannot answer all requests. Additionally, the majority of personality assessment questionnaires used for guidance today are from the 1950s … It was about time that we created something affordable with new answers. As a clinical psychologist and former head of evaluation solutions online for Manpower Group, Pierre-François Verley was often asked by human resources managers to research innovative solutions to assist in the assessment and career development of young talents. As for Martin Ryssen, he began his career as a Management Consultant at BearingPoint (Andersen). He was also passionate about education and had already created an international coaching organization in high schools. They discovered while working in international recruitment agencies, there was a gap to fill regarding career guidance. The market lacked adequate counseling or technical tools dedicated to professional orientation that was easily available for students and professionals. They wanted to combine their expertise to modernize career guidance, by digitizing and evolving the best practices in psychometrics, hiring processes and HR support. CEO Pierre-François oversees corporate development, strategy, product development and team management at Talentoday. He brings more than 8 years of experience in operational and business management for large HR and assessment projects, including recruitment and assessment management for human resource consulting firm Manpower. Pierre-Francois is a state-certified psychologist and affiliate member of the American Psychological Association, creating the ideal combination for his leadership and passion in career guidance and self-discovery. After earning a Master of Science in Psychology and Psychopathology, in 2012 Pierre-François obtained a dual Master of Science in Entrepreneurship from Essec Business School and Ecole Centrale Paris. In his free time Pierre-Francois enjoys free-diving, spearfishing and oenology. COO Martin leads the operational controls and reporting procedures to effectively grow Talentoday, and to ensure financial strength and operating efficiency. In 2003 Martin co-founded Terre de Talents, an international coaching nonprofit reaching more than 4,000 students across 30 countries. Previously he held a variety of business and leadership positions, from business strategy at a leading management and technology consulting company to lecturing on entrepreneurship at the world’s oldest business school, ESCP Europe. Martin is passionate about innovation in education, and previously served as a career advisor volunteer for ESCP Europe Alumni, providing expert feedback on curriculum vitae for students. Martin earned a European Master of Science in Management from ESCP in 2006, and a European Master of Science from The City University in London. He loves traveling and has visited more than 60 countries. 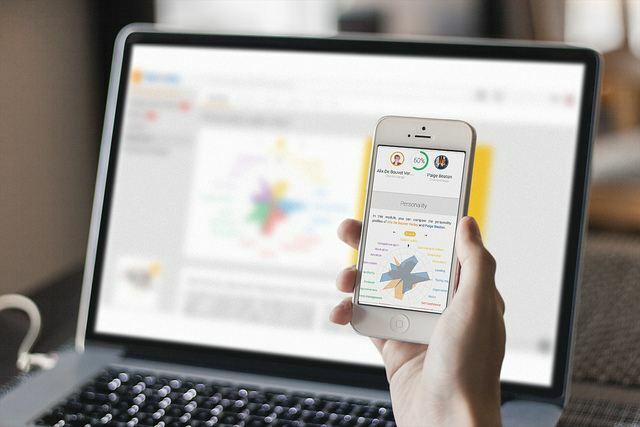 What’s the next step for Talentoday? Our goal is to be the worldwide leader in online career guidance. By expanding what we do with universities and students to also with professionals, no matter the age and level of experience, we strive to serve as many individuals as possible. Previously, traditional job hunting has been based on your diploma and your skills, and LinkedIn brings in the necessity of growing and maintaining your professional network. At Talentoday, we want to bring the importance of personality and soft skills to the hiring and job seeking process. Career guidance methods are outdated and students are under-served, at a time when job placement is both difficult and crucial for graduates who face student loan repayment and a changing job market. Students also struggle with a lack of career direction: 59 percent of respondents to a recent survey said their biggest challenge in finding or deciding on a career is that they don’t know what they want to do, while another 38 percent are unclear where to start. Meanwhile, young professionals currently face 44 percent underemployment. We have partnered with more than 79 of the world’s top universities and have helped assess and place more than 21,000 people. North American customers include the University of Pennsylvania, McGill University and the University of California – Davis, among many others.